This is the second card of the day I made for current MFT Sketch and Color challenge. Here is my card. It was a real challenge to combine both sketch and colors but I loved the outcome. Here is the MFT Sketch # 333 and the color combos #69. I had fun creating this card. I first did some masking to create the diagonal lines for the sketch by using some printer's tape and distress inks. After creating the background, I diecut the word Hugs using MFT Big Hugs Dies. I cut multiple times from white cardstock for an added dimension. 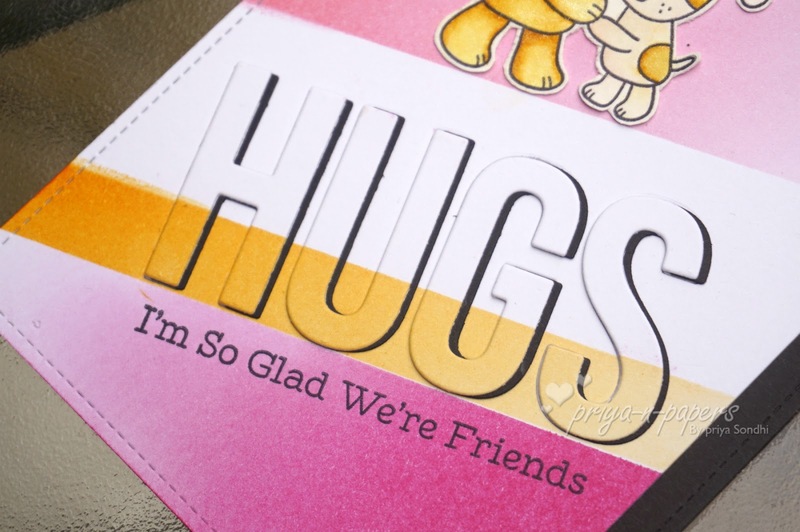 To give a shadow effect, I also diecut hugs from black cardstock and while stacking all the Hugs layers, I offset the black one a bit towards right. The cute bear and dog image and the sentiment is from MFT Friends Furever stamp set. I added some sparkle using Spectra Noir sparkle pen. That's it from my side today. I will back soon! 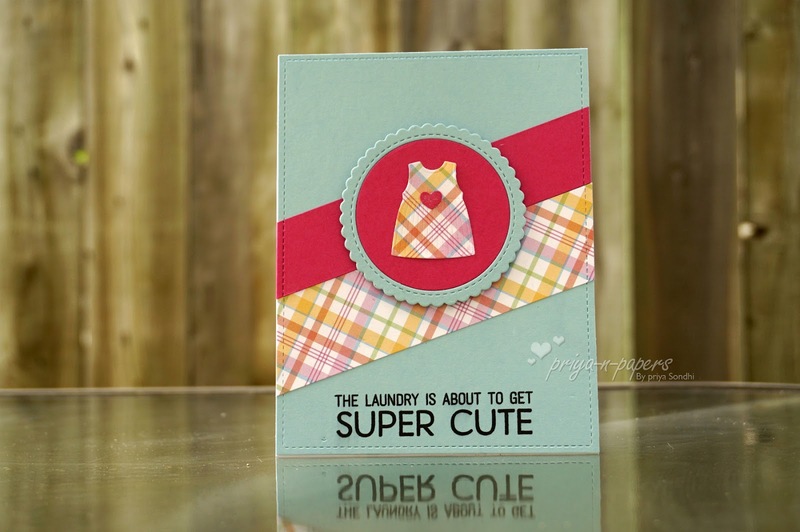 I made 2 cards this week for MFT Sketch Challenge # 333. 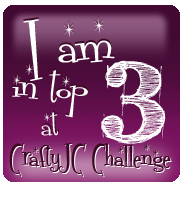 Here is the card# 1. It's an A2 size card I made using MFT stamps, dies and cardstock. The detailed supply list is at the bottom. 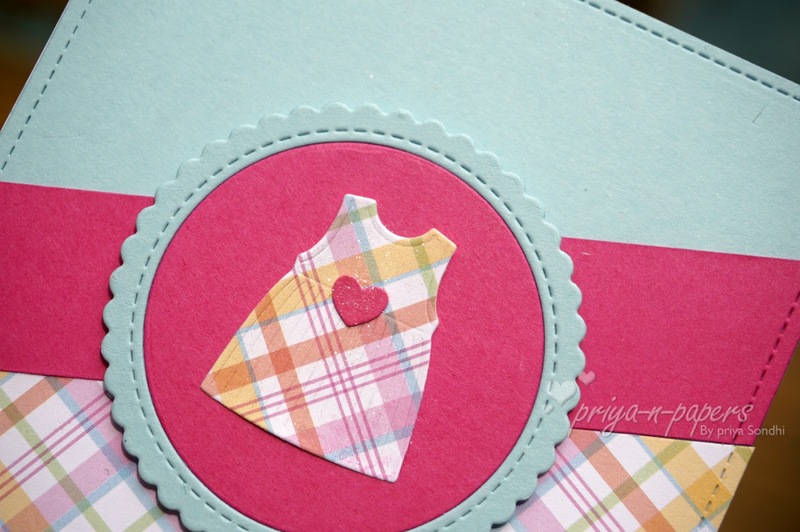 I am glad that I was finally able to use these welcome baby dies and stamps. 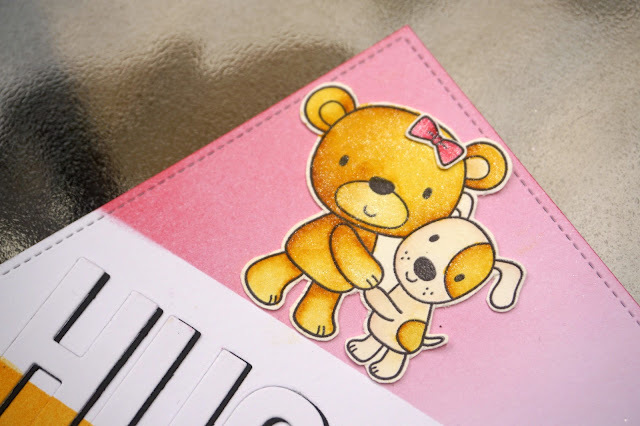 I will be making more cards out of this stamp set. Here is a close up of the card. I added some sparkle using Spectra Noir sparkle glitter pen. I hope you liked this one. I will be back with my second card. This is my second card of the day. Yay! So glad that I was able to make 2 cards in a day. 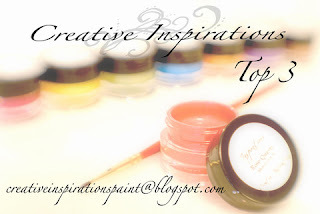 This one is based on MFT Color Challenge. Here is the color palette. 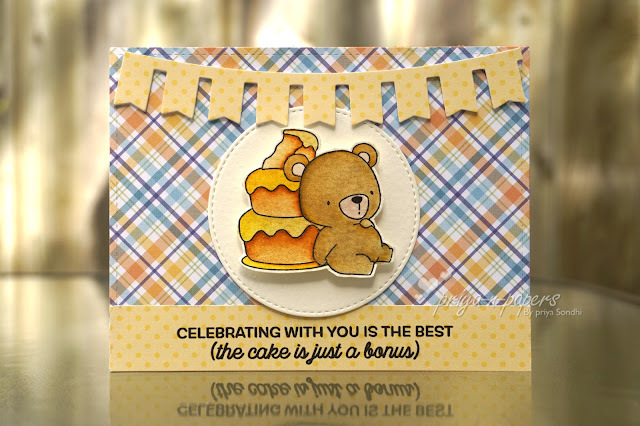 For this card, I have used one of the cute bear image from BB Beary Special Birthday stamp set and made it the focal point of card. I colored it with Kuretake zig clean clear real brush pens. 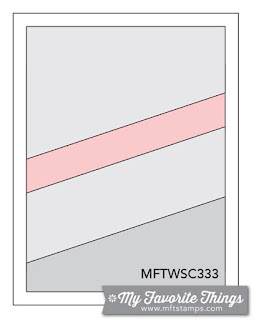 The Banner die is from MFT again. But I guess it has been discontinued as I was not able to find its link. 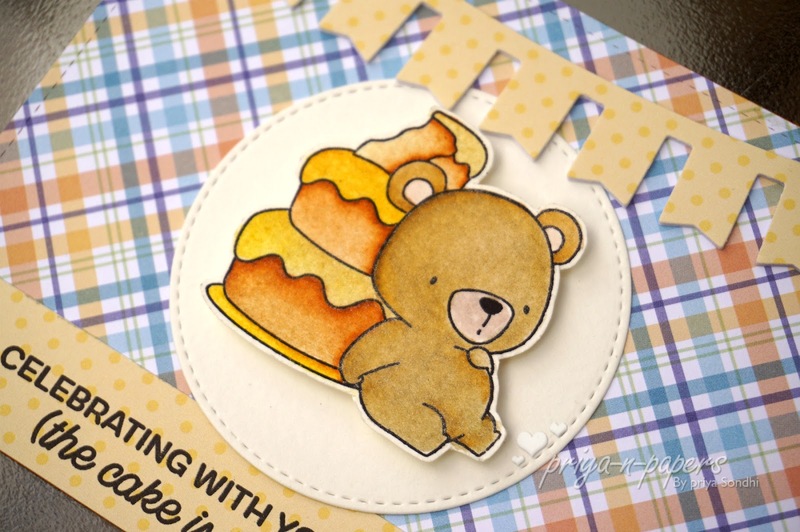 The sentiment is from Big Birthday Sentiments stamp set. The papers are again from MFT. I have used Plaid Patterns Paper Pack and Dots & Stripes Confection Paper Pack. Cute Birthday Card for a Cute Girl !!! Miss not so good with words ..